Sydney is the largest city in Australia and has a population of over 4.3 million. Located on the central coast of New South Wales, it is flanked by the stunning Blue Mountains in the west and the Tasman Sea to the east. It was originally founded in 1788 by the British as a penal colony. Today, Sydney draws in people from all over the world, making it the most cosmopolitan and international destination in Australia. When people think of Sydney, iconic images of the Sydney Opera House and the Harbor Bridge, along with Bondi Beach come to mind. But Sydney has so much more to offer than just that. Sydney has a culture of its own; the city is filled with lively beach communities as well as beautiful neighborhoods. Students can take in the sights and enjoy delicious foods at sidewalk cafés or venture off the beaten track to see the natural wonders around the city. University of Sydney – The largest, oldest, and most prestigious university in the country. This university frequently ranks among the top 50 universities in the world and the top eight in the country. University of New South Wales – This is the top teaching and research university in the country which consistently produces high caliber graduates. UNSW’s philosophy is to advance knowledge by making use of both practical and scholarly approaches. Macquarie University – This university features the largest number of international students and offers extensive student exchange programs. It’s also one of the top nine universities in Australia and among the top 40 in Asia Pacific. It is renowned for producing highly qualified graduates and providing students with first class facilities. International College of Management Sydney (ICMS) – ICMS is the top choice for anyone looking to pursue business majors. It’s located in a pristine area in Sydney overlooking Manly Beach and Sydney Harbor. Furthermore, each of the degree programs is put together with input from leading professionals in the industry. University of Technology, Sydney (UTS) – UTS is located in the heart of Sydney and offers courses which are developed in conjunction with industry partners and leading professionals in the field. The aim is to combine theory with practice. The costs for each type of accommodation will vary. Be sure to look for something close to campus to cut down on your commute to and from university. There are a number of ways that you can get around in Sydney. These include trains, buses, taxi cabs, ferries, and trams. The most useful transportation for you will depend on where you choose to live in Sydney. International students are generally not entitled to concessions on public transport. The only exception to this is when they have received a full scholarship by the Australian government to study in Sydney. Sydney has a beautiful climate which international students, especially those who are used to harsh winters, will love. The temperate climate in Sydney makes for mild winters and on average, 104 sunny and cloudless days per year. Summer lasts from December to February while winter is from June to August. The lowest temperatures you can expect are around 9 °C (or 47 °F). Due to its close proximity to the ocean, there are no vast seasonal differences in weather. One of the other great things about Sydney is that you’re entitled to work while you study. This is a great way for you to get work experience, complement you studies, and help finance your living expenses. International students are entitled to basic rights such as a minimum wage and the right to challenge an unfair dismissal. A majority of student visas allow for up to 40 hours of work every two weeks during the time that you’re studying. When you’re on break, you can work unrestricted hours. In addition, you can also pursue volunteering and internship opportunities. 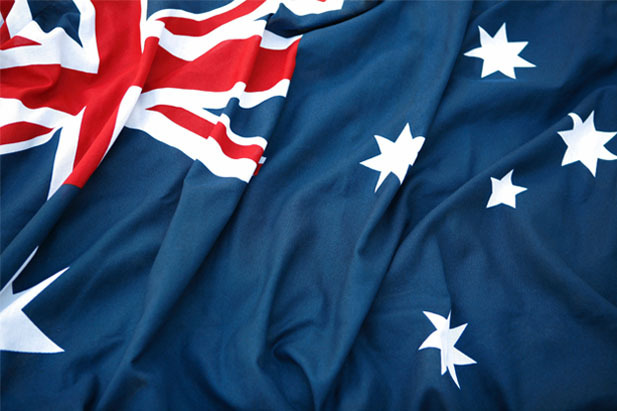 The Land Down Under is the third most popular destination in the English speaking world for international students. Sydney is the largest and most populous city in the country and offers students the chance to gain a high quality education while enjoying the cultural diversity and natural beauty of Australia. With all that it has going for it, it’s easy to see why Sydney is so appealing to students from around the world.